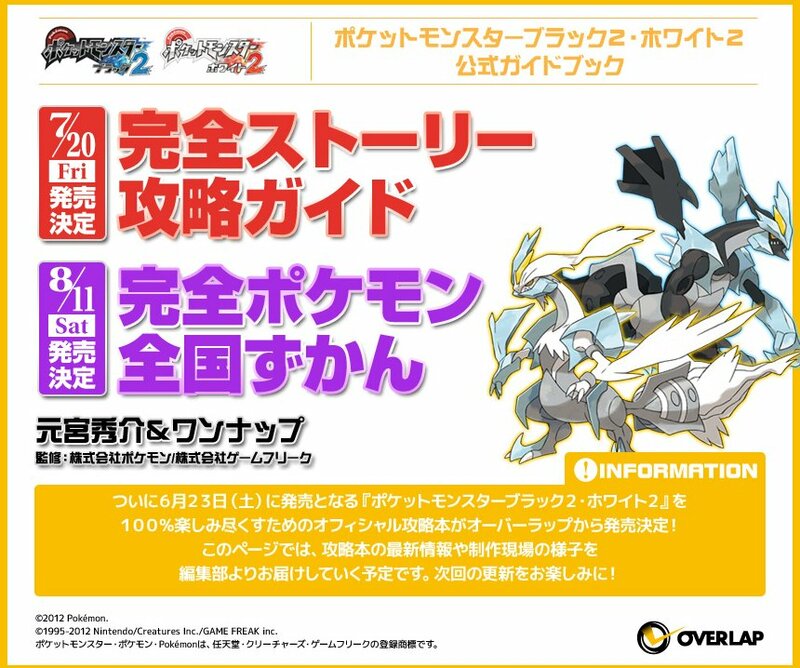 All About Pokemon Figure (AAPF): Genosect Will Come Soon 2 ? This article is reposting and edited the contents with additional images. Three interesting infomation of 'Illusory (幻) Pokemon'. 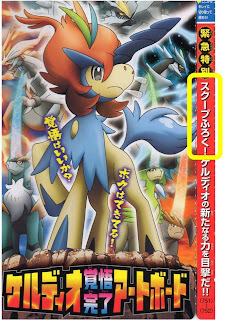 The following image is part of this month CoroCoro July (15 June 2012). 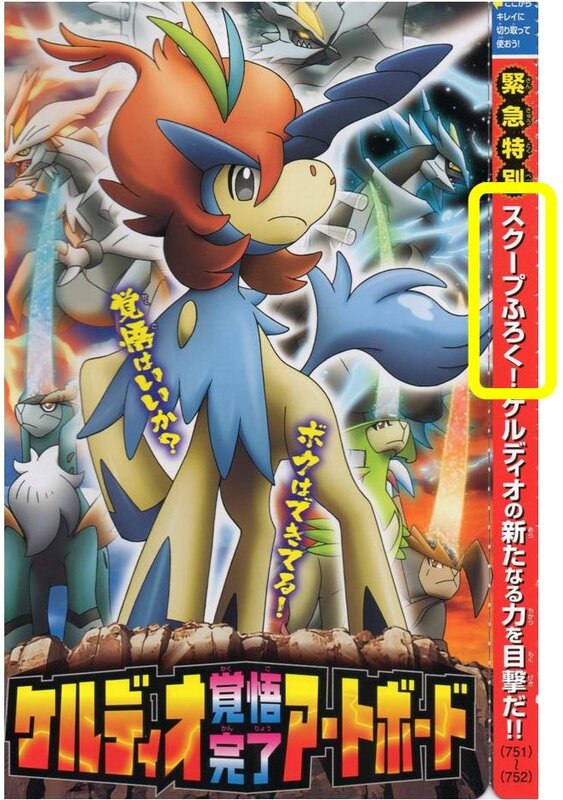 It's 'Scoop Attachement' of Keldeo Resolution forme. 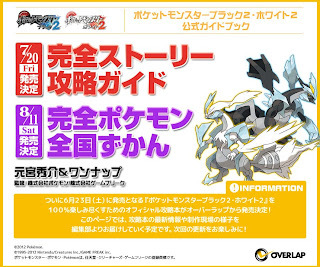 Also Pokemon official site announced Resolution forme taday. 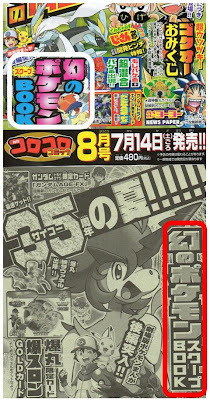 Next CoroCoro Aug (14 Aug 2012) trailer. 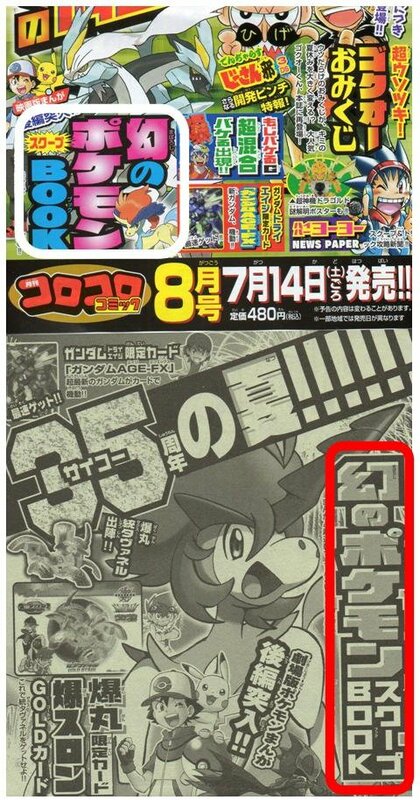 Attaches 'Scoop book of Illusory Pokemon' Is CoroCoro going to attach the scoop book of Keldeo resolution forme two month continuously ? 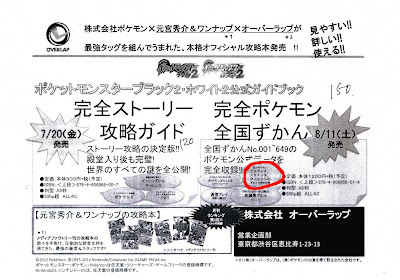 According to these things, AAPF reasons that the Illusory Pokemon Genesect (or related event) will be announced in the middle of July or middle of August 2012 officially. BTW, please remember we are not official site, same as your fan site. Of cause we do take care credibility of the our article. It's all up to you whether make or break our information.